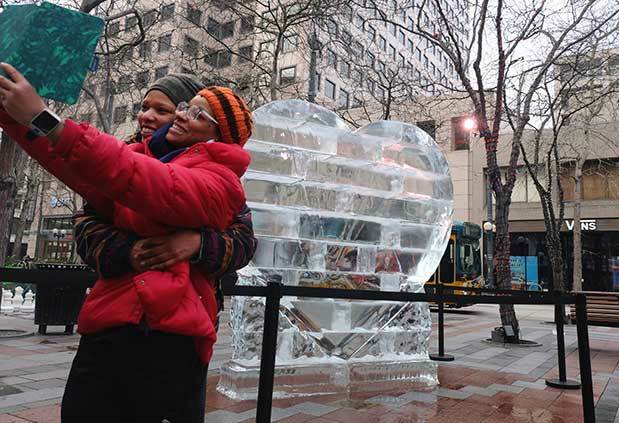 An eight-foot-tall illuminated heart of ice took center stage in Westlake Park in February 2016. This seasonally appropriate art installation, brought into the park by DSA, melted quickly, however, due to unseasonably warm temperatures. Visitors to the park enjoyed this fun amenity, taking selfies and enjoying the beauty while it lasted.